Please contact me regarding the 1982 White Expeditor Tank Truck- Tandem- Fuel Oil - Stock# 5 for sale at TruckerToTrucker.com. 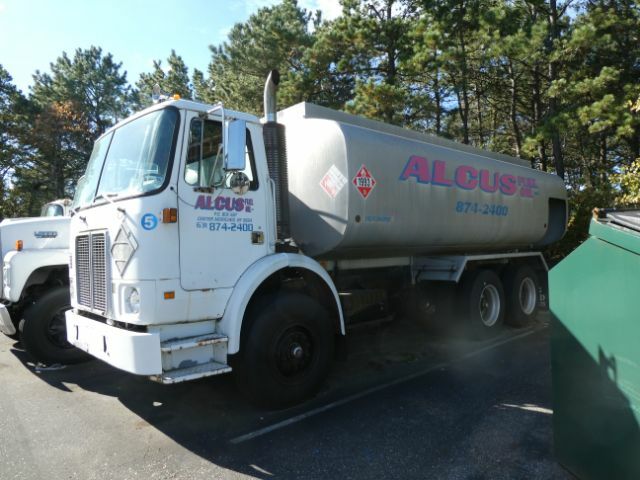 Take a look at this 1982 White Expeditor Tank Truck- Tandem- Fuel Oil. It is Stock# 5 at TruckerToTrucker.com. 1982 White Expeditor Tandem Tank Truck- Fuel Oil- 6 speed manual transmission, 4800 Gallon single compartment Garcite Tank. Midcom meter in cab. Detroit 6V92 Turbo engine. Engine was overhauled before truck was laid up at a cost of over $30,000.00 at Atlantic Detroit Diesel. Less than 5000 miles driven since major engine overhaul. Truck has been laid up and will need some work. Act fast. WON'T LAST AT THIS PRICE!!!!! !